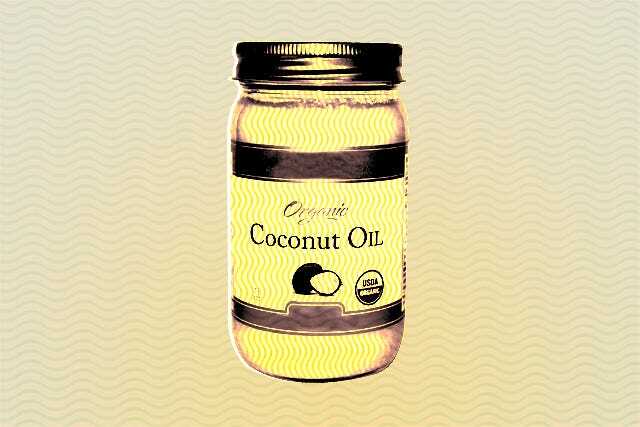 I Hate Coconut Oil: Does That Make Me A Horrible Person? This story was originally published October 23, 2015. If you frequently traverse the wide world of the Internet, there are certain truths that will appear to be self-evident: Things are always better when explained in gif form, the grammar police are alive and well in the comments section, there's no point in saying it with words if you can say it with a Grumpy Cat picture, and coconut oil is the solution to whatever ails you. According to many a blogger, model, and online commenter, coconut oil is a beauty miracle capable of clearing up your skin and making it look radiant. A dab of the raw, unprocessed stuff is better for you than any store-bought concoction and will solve every skin-care woe you've ever had — or so they say. Unlike seemingly 99% of the population, I don't subscribe to the gospel of coconut oil — and I'm starting to feel like that makes me a horrible person. For every story I write about a product I like, there's at least one comment schooling me on how coconut oil could do it better. Am I a product-shilling zombie because I don't buy jars of the stuff in bulk at Trader Joe's? I didn't think so, but it's sure starting to feel like that. To be clear, I'm by no means against natural-beauty remedies: I've been washing my face with nothing but raw honey for the past four months, and I use organic brands for the majority of my routine. But, when I tried cold-pressed, raw coconut oil both as a makeup remover and as a moisturizer, I wound up with one of the worst breakouts in the history of breakouts. Even after that, I gave it another shot on the off-chance that it was a fluke. Spoiler alert: It wasn't. Does that mean there's something weird about my skin? Am I just doing beauty wrong? I went to the experts to find out. Keep reading to see what they had to say. First, I spoke with dermatologist Dennis Gross, MD. 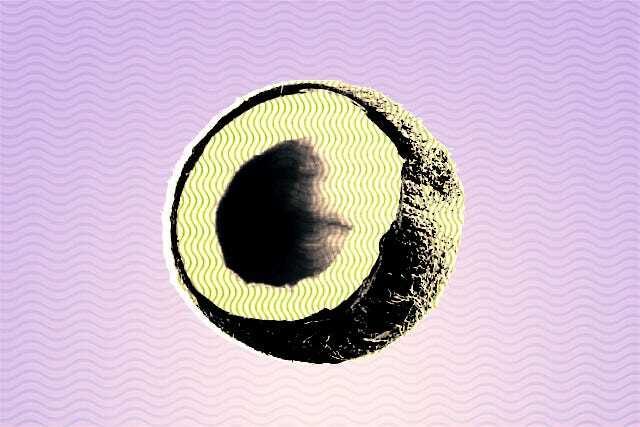 "Coconut oil is known for being hydrating," he explains. "An oil’s goal is the same as a moisturizer or cream — to moisturize. The difference is [that] the oil does not contain alcohols or silicones." Dr. Gross says he uses coconut extract and coconut water as ingredients in his products for their moisturizing and anti-inflammatory properties. But, he notes, acne sufferers should stay away from coconut oil and opt for oil-free hydrators instead. As the not-so-proud owner of acne-prone skin, this gave me some reassurance that my aversion wasn't all in my head. But, I needed to know more, so I went to straight-shooter and Beauty Rx founder Neal Schultz, MD. "If you use coconut oil — or any oil for that matter — on acne-prone skin, you are up a creek without a paddle," Dr. Schultz says. The root cause of acne is excess oil, he explains: There are, of course, other factors, but that's the real bad guy. "No one with acne should be putting oil on their skin." Yes! Vindication! Schultz adds that because coconut oil is an occlusive moisturizer (i.e., it traps moisture beneath the skin), it aggravates acne. "Coconut oil clogs pores. It has to — that's how it [hydrates the skin]." So, what about all those people who claim that coconut oil cleared up their acne? "I believe that anecdotally, there are some people whose skin cleared up while they were using coconut oil," says Dr. Schultz. "But, that doesn't necessarily mean it was the oil that cleared up the skin." There's no correlation between the two, he explains — we just know that it happened. "[When] there is a controlled study with objective measures on a significant number of people, and the oil is shown to be statistically significantly better than nothing at all, then we will have a case." Dr. Schultz adds that, of course, there will always be outliers: If enough people try coconut oil on their faces, some of them will see an improvement — either because of or in spite of the ingredient. But, he counters, how many out there will try it and see no effect or a detrimental one? So, I take it to you, dear readers: Have you tried coconut oil on your face? What was the result? Speak up against the majority, and let's show the Internet that coconut oil isn't the magic cure-all for everyone, everywhere, always. Coconut-haters unite! Turns out, coconut oil isn't all that great for your health either, according to a new report by the American Heart Association. Read more here.